The required oath and procedure is specified by Acts of Parliament - the Promissory Oaths Act 1868 - Parliamentary Oaths Act 1866. Oaths have to be sworn (or affirmed) in the manner specified in the Oaths Act 1978. 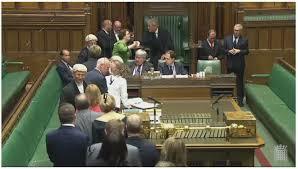 MPs seniority is determined by the order of swearing in. Following the death of Sir Gerald Kaufman, Dennis Skinner became the oldest serving MP, but did not become Father of the House despite being elected to parliament on the same day as Kaufman and Conservative MP Kenneth Clarke in 1970. This is the one who was sworn in first is considered to be the more senior. Kenneth Clarke is now Father of the House. 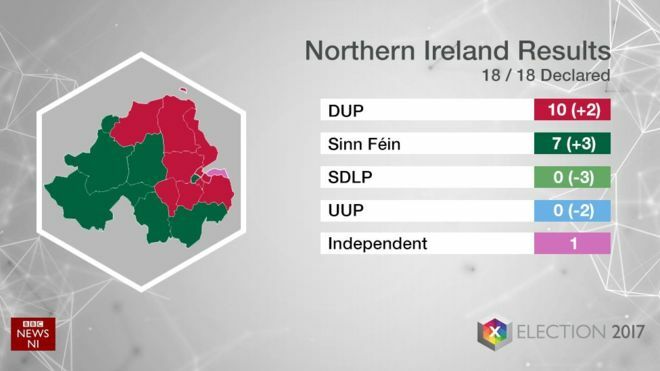 On 8th June, Northern Ireland elected 10 DUP MPs, 7 Sinn Féin MPs and 1 Independent.